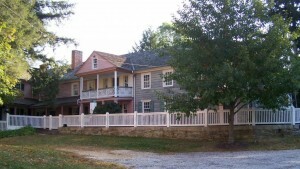 In 1863, brothers Andrew K. Shriver and William Shriver together shared the family homestead in Union Mills, Maryland. 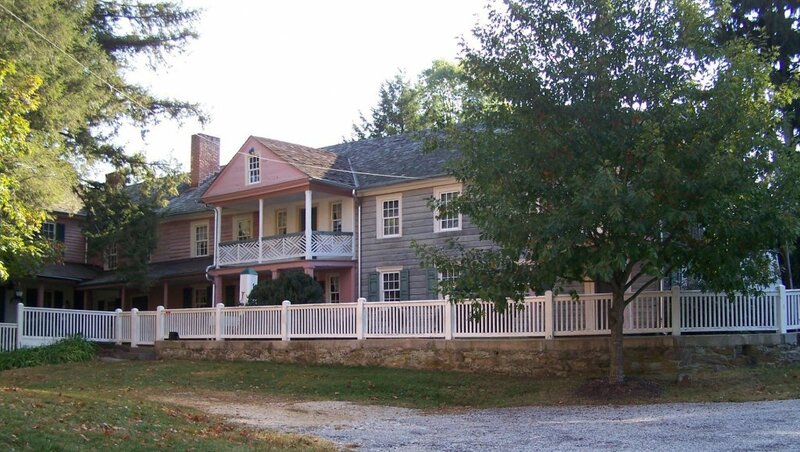 Andrew K. Shriver stayed in the main house with his wife Catherine and their four children, while William and Mary Shriver lived across the road with their family of eleven children. As one of their descendants put it, “The road … was not the only thing that divided the brothers.” When the tensions between the North and the South erupted into civil war, the Shriver brothers found themselves on opposite sides. In this they were like many other families in the mid-Maryland border region. Andrew, owner of a few household slaves, sided with the Union, while William, who owned no slaves, supported the Confederacy. In 1863, both brothers had the opportunity to host the opposing sides’ army. Although they were reported to “live peacefully as neighbors,” it was inevitable that a certain amount of tension existed between the Shriver brothers and their families during the war. 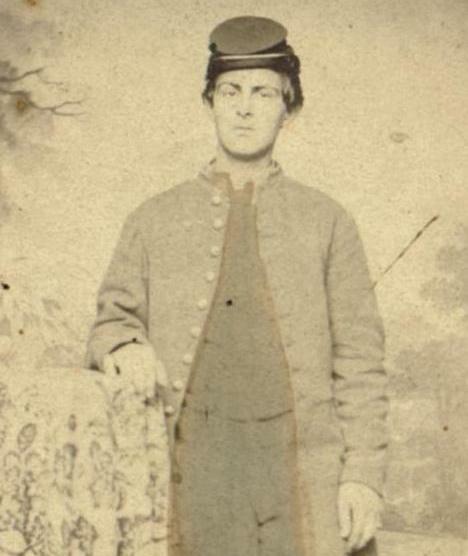 Louis Shriver, Andrew’s youngest son, later recalled: “Our two families lived close together and although we continued to visit back and forth, social discourse was always strained and often resulted in unhappy arguments.” In late June and early July 1863, when both Union and Confederate armies marched through Union Mills in one twenty-four hour period on their way to Gettysburg, the Shriver brothers’ opposing loyalties would become manifest. The first to arrive were General Jeb Stuart’s Confederates, who knocked on Andrew Shriver’s door at eleven o’clock in the evening of June 29 and asked for shelter for the night. 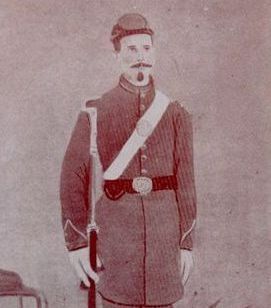 In his memoir, Louis Shriver, who was twelve at the time, described his father’s reaction to the Confederate general’s request: “’Well, sir,’ Andrew K. Shriver replied, ‘I can tell you, I am a Union Man!’” The elder Shriver had no intention of playing host to Confederates; he refused the officers lodging in his home, forcing them to sleep in the orchards, and declined to share any supplies. Even the threat of imprisonment did not compel Andrew Shriver to accommodate his guests. The morning after spending the night in the orchard the Confederate officers moved across the road where they were greeted by a decidedly more enthusiastic and hospitable host. William Shriver was eager to feed and entertain the Confederates. His daughter Sarah would later write about having General Stuart and his men in their home: “… our table [was] surrounded by so many shining lights – Majors, Colonels, Captains, Doctors and to crown all, those two noble Generals: the harmony and good fellowship, high breeding, and aristocratic bearing of these noble men.” The officers enlisted William’s sixteen year old son, Herbert, as a guide, and at 10:00 am began their departure from Union Mills. This excitement was not to be the last that day for Union Mills and the Shriver families. By the late afternoon, just as life was returning to normal, the Union troops made their appearance. The Fifth Corps of the Potomac under the command of General Sykes arrived in Union Mills at five o’clock. 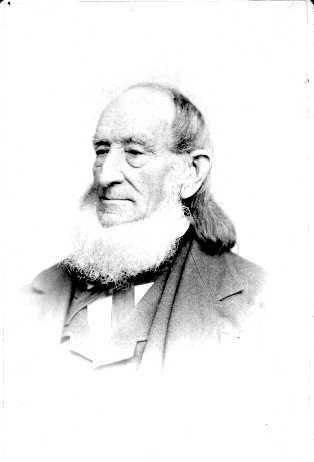 This time, the soldiers were a “welcome sight” to Andrew K. Shriver, who greeted the Northern troops with as much enthusiasm as his brother had the welcomed the Southerners. While Andrew K. Shriver extended his hospitality to the Union officers with food, entertainment, and a comfortable place to sleep for the night, no such assistance was forthcoming from William Shriver. In the morning, the twelve thousand men marched on to Gettysburg. The two Shriver brothers did not serve in either army during the war. They did, however, send sons to join the military. 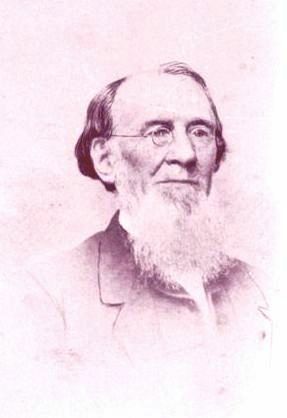 Andrew K. Shriver’s eldest son, Henry Wirt, joined an emergency militia of Pennsylvania volunteers on June 17, 1863 during Lee’s northern invasion and returned home a month later when the unit was disbanded on July 30. Four of William Shriver’s eight sons joined the Confederate cause: Andrew Keiser served in the 1st Maryland Infantry; Christopher Columbus joined the Medical Department of Richmond; Thomas Herbert joined the 1st Virginia Cavalry after acting as their guide the night of the invasion; and Mark Ownings followed his older brother into the 1st Virginia Calvary shortly after the Battle of Gettysburg. All five cousins survived the war, and many of their descendants are still living in Maryland, no longer divided by sectional tensions. This essay was contributed by Andrew Borsa, B.A. from Boston College, an intern with the Catoctin Center for Regional Studies.